How does top UN body work? US President Donald Trump has issued numerous messages of support to the protesters via Twitter. His administration has taken a tough line against Iran, which is competing for influence across the Middle East with Saudi Arabia, a key US ally. 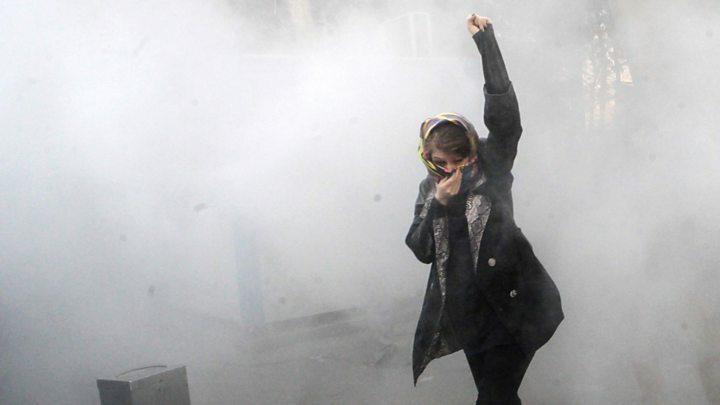 Iranian officials have blamed the demonstrations on foreign meddling and at the UN on Friday Mr Khoshroo said Tehran had "hard evidence" that they were "very clearly directed from abroad". 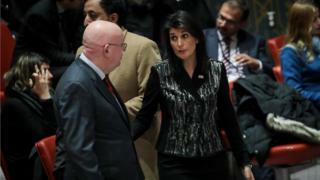 Ms Haley earlier said that "no dishonest attempt to call the protestors puppets of foreign powers" would deter the US from speaking out. On Friday, tens of thousands of government supporters again took to the streets across Iran, state TV reported. How does Security Council work?